Scott Mann, Conservative MP for North Cornwall, said on Twitter there should be a national database "like we do with guns". 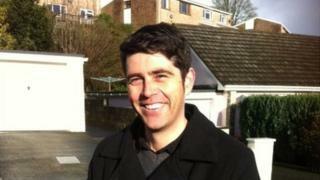 His tweet has attracted more than 3,600 comments, with some saying Mr Mann was "not the sharpest knife in the drawer". New figures show knife crime in England and Wales is at its highest for nine years. 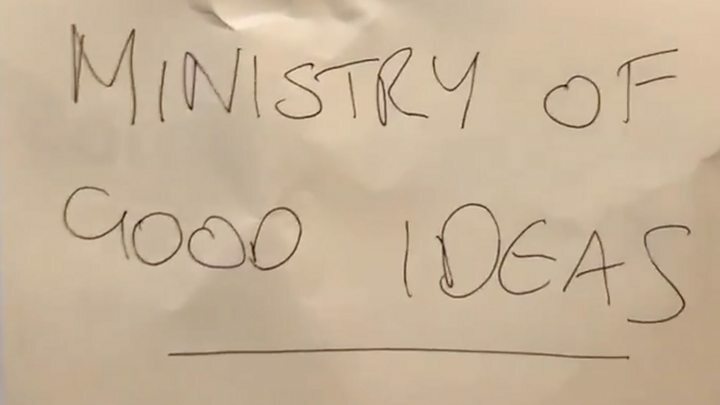 Media captionJohnny Mercer MP labels Mr Mann's office the "Ministry of Good Ideas", and has a sit down to take in some of the public's suggestions. Mr Mann's Tweet reads: "Every knife sold in the UK should have a gps tracker fitted in the handle. "It's time we had a national database like we do with guns. But Twitter users were quick to highlight the flaws in the former postal worker's plan. Comedy writer James Felton commented: "There are 66 million people in the UK. If every one of them owns just one knife that's 66 million knives to keep track of." Several people pointed out that every knife would require charging. Hundreds of others poked fun at Mr Mann's suggestion. Shane Telford suggested that tea spoons should also be tracked to prevent them getting lost. The MP's comments follow a spate of fatal stabbings in England, including the killings of three 17-year-olds in less than a week earlier this month. On Wednesday, it was announced the government had pledged an extra £100m to help police tackle knife crime. The BBC contacted Mr Mann's constituency office, but he did not wish to comment.